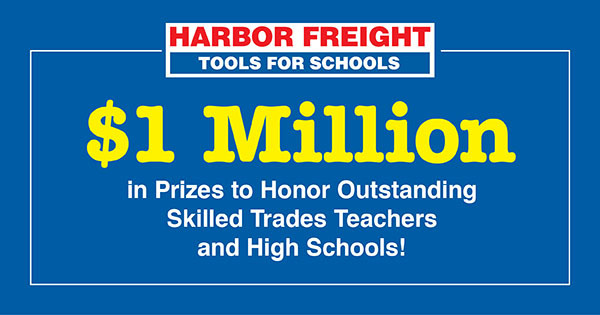 $1 Million in prize awards will recognize 18 outstanding skilled trades teachers and programs at U.S. public high schools. 3 first-place winners and their schools will receive $100,000 ($30,000 to the teacher or teacher team, and $70,000 to their high school’s skilled trades program), and 15 second-place winners will receive $50,000 ($15,000 to the teacher or teacher team, and $35,000 to their high school’s skilled trades program). The Prize also has learning modules with practical ideas for all teachers to use.